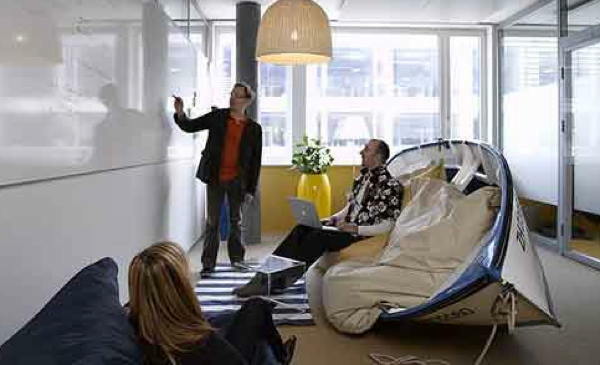 You are here: Home / Developing Creativity / Is Brainstorming Good for Creative Thinking? Psychologist Paul Paulus has researched the value of group ‘brainwriting’ in which “group members write their ideas on paper and pass them to others in the group who then add their own ideas to the list,” as writer Amy Novotney summarizes. She adds that in a study led by Paulus, “an interactive group of brainwriters produced 28 percent more possible uses for a paper clip than a similar group of solitary brainwriters. From post: Using Research to Enhance Creative Thinking – Part 2. Writers J.R.R. Tolkien, C.S. Lewis and others discussed religious and literary ideas and their own works in progress in a famed discussion group, the Inklings, which met regularly at Lewis’ college rooms at Oxford or in pubs, in the 1930s and 40s. Of course, writers groups, support groups based on Julia Cameron’s classic book The Artist’s Way, and similar gatherings still enable creative collaboration and feedback from others. Professor R. Keith Sawyer is a leading expert on creativity, with research in business innovation, organizational dynamics, children’s play, and artistic and scientific creativity. In a Time magazine article, he addressed questions about myths and other aspects of creative minds. He commented, “Ideas don’t magically appear in a genius’ head from nowhere. They always build on what came before. And collaboration is key. Look at what others in your field are doing. 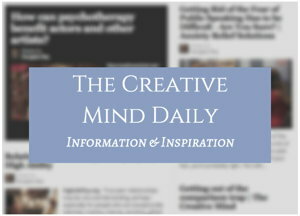 From post: Creative inspiration – R. Keith Sawyer on myths of creativity. His books include Explaining Creativity: The Science of Human Innovation. “I thought that such a statement in the presence of academics would not cause too much commotion. I was wrong. One of the scholars was a lead consultant for a major Silicon Valley company that prided itself on creative idea generation, particularly in teams. This led to a spirited debate between the two of us that lasted through the evening and the next couple of months. [From excerpt on her site www.leighthompson.com from her book Creative Conspiracy: The New Rules of Breakthrough Collaboration. Another aspect is personality: many creative people are introverted, highly sensitive, shy – or all three – and may be inhibited in corporate groups, especially with a pressure to come up with needed ideas on the spot. Susan Cain, author of Quiet: The Power of Introverts in a World That Can’t Stop Talking, is critical of brainstorming and ‘GroupThink’ and declares working alone is usually better than working in groups in terms of productivity and creativity. So maybe the motivation for and specific nature of a “brainstorming” group is what matters in how well its members come up with creative ideas.